To feel and comprehend the magnitude of the birth of Christ, one need only to turn to the Holy Scriptures where God lays forth His redeeming plan of salvation, giving hope and light to the depraved souls that walk the earth. Before time even began, God knew that eventually sin would enter the perfect world He would soon create. He knew that man, not perfect, because He and He alone is perfect, would fall prey to the temptations given under the domain of darkness and that redemption would have to be accomplished. He also knew, however, that the only path to true glorifying redemption would be a perfect sacrifice, without reproach, that would bear the darkness of the wretched world. Therefore, because of the fullness of His immeasurable grace and truth, God himself entered the world that He would become this perfect sacrifice the world so desperately needed. 1In those days a decree went out from Caesar Augustus that all the world should be registered. 2This was the first registration when Quirinius was governor of Syria. 3And all went to be registered, each to his own town. 4And Joseph also went up from Galilee, from the town of Nazareth, to Judea, to the city of David, which is called Bethlehem, because he was of the house and lineage of David, 5to be registered with Mary, his betrothed, who was with child. 6And while they were there, the time came for her to give birth. 7And she gave birth to her firstborn son and wrapped him in swaddling cloths and laid him in a manger, because there was no place for them inthe inn. 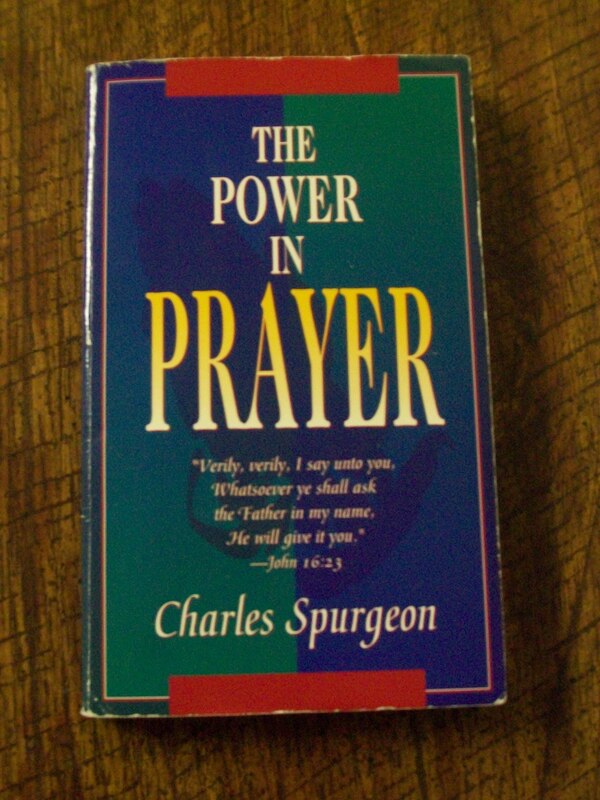 I recently finished reading The Power in Prayer by Charles Spurgeon. Though short in length, this book delves far beyond the surface of its subject matter and provides helpful insights into both the reasons and modes of prayer. Starting from the most basic aspects of prayer, Spurgeon masterfully progresses to some deeper and perhaps less thought of facets of the praying life. I especially appreciated Spurgeon’s challenge to prepare myself as I come before the Lord of the Universe to make my petitions as well as his treatment of “Order and Argument in Prayer”, which I will be posting on later (Lord willing). In all, I recommend this book to you wholeheartedly for your edification. Another resource that has been encouraging and enlightening to me has been the audiobook A Short Life of Jonathan Edwards, written by George Marsden and produced by Hovel Audio. This audiobook has been an insightful overview of Edwards’ life that sets itself apart from other biographies in its comparison and contrast of Edwards to his contemporary Benjamin Franklin. Another short book (about four hours in length), A Short Life receives my full endorsement. R.C. Sproul explains why it doesn’t mean what you might think. See his article here. To enter for this contest, visit his blog here. Billy Graham has been a faithful servant of God for many years and a man that has always been known for his moral strength and dependence on God. I recently was able to get a closer look at his life through the eyes of one of his close friends. 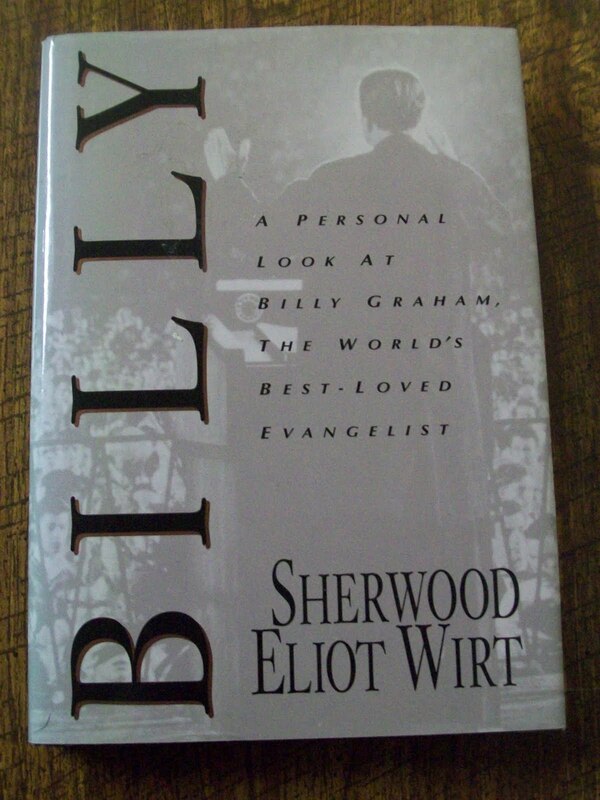 Billy: A Personal Look at Billy Graham, the World’s Best-loved Evangelist, by Sherwood Eliot Wirt, is less of a biography about the events in Mr. Graham’s life and more about revealing the character of a great servant of God as seen from a man who was close to him for many years. If you want to get to know Billy Graham and how God worked through him throughout his many crusades over the year, then I recommend this book to you. With the Christmas tree up in my house and hot chocolate in my mug, I would say that the Christmas season is in full swing. And, truly, I love this time of year –the carols, the presentations, the snow, the decoration, and, most importantly, the opportunity to celebrate my Savior’s birth. The whole atmosphere is exhilarating. But despite all of these things, there is a portion of the Christmas season that bothers me. There is an element of artificiality that pervades this time of year like no other. Every Christmas, millions of people around the world (particularly in America) put up artificial trees, teach their children about a fake gift-giver, and put on a fraudulent show of charity to match the Christmas season. Now, I have nothing against artificial trees, nor do I think that there is anything wrong with Santa Claus. However, the latter of these problems causes me some trouble. In my experience, too many people fake a sense of joy and kindness just for the sake of the season. For some, this manifests itself in toothy smiles and a seasonal hospitality that covers up an otherwise discontented and angry soul. For others, their charity is obvious by the large sums of money and material goods they give the Salvation Army and Good Will, while throughout the rest of the year they refuse to give anything more than will get them a tax cut. This is so like human nature, to use one particular season to ease the conscience for the entire year. It breaks my heart. Don’t get me wrong, I’m glad that these people give as they do. There are poor and needy people who need it all and more. If these people didn’t fake what they did, then I can’t think to imagine the amount of people each year that would be left out in the cold (some more literally than others). No, I do not want any of these people to give any less. Count me as the last to discourage anyone from giving, whatever the motive. What I want to see is not less giving, but more giving from the heart. I earnestly desire that people would give from their abundance and serve the poor from a heart made new and released from sin –a heart that is so in love with its Creator that it gives in and out of season, with or without pressure, under any circumstance. And most importantly, I want these people to put away their facades, to realize their true sinful nature, and to see the blazing truth of Christmas –that God sent His only begotten Son, Jesus, to earth so that He might live and die and rise again to save us all from our artificiality and sin, and to make us real. This is my hope this Christmas.